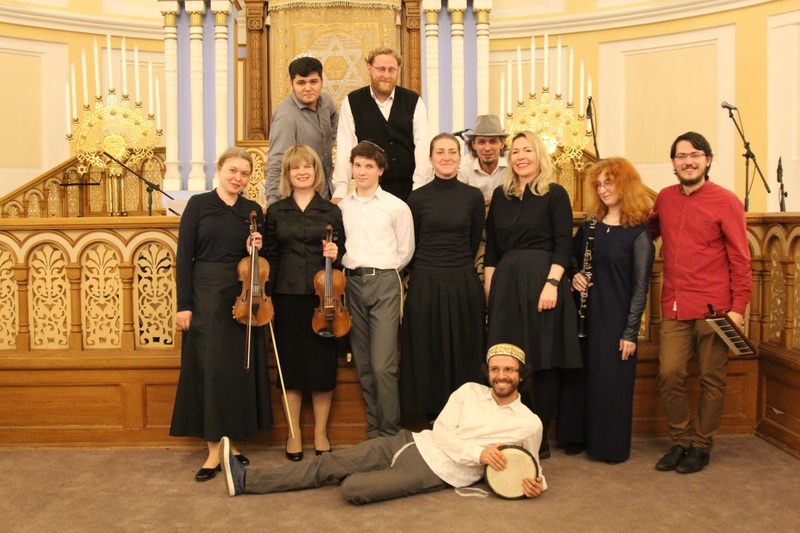 The Grand Choral synagogue in Petersburg, Russia hosted hundreds of visitors last week for a Jewish klezmer concert, part of an ethnic music festival organized by the city council. Local Shpil Klezmer Band ensemble performed an instrumental arrangement of Jewish holidays’ prayer melodies and the uplifting tunes of the Jewish wedding for city residents, while the evening’s host, local guru Viktor Amcheslavsky told the audience about the history of the synagogue, Jewish holidays and the traditions and customs associated with them. “It’s nice to see that the synagogue has become an active member of the Petersburg cultural scene. City residents highly value our events, they are interested in Jewish history and not afraid to come and visit,” said Anna Brodotskaia, the synagogue’s PR coordinator. The synagogue’s annual Night in the Museum event draws some of the biggest crowds among the participating landmarks, while its lectures, book fairs, and other cultural events are also very popular, she said. The ethnic music festival program included performances at Armenian and Lutheran churches, Catholic and Russian Orthodox cathedrals, a central mosque and a Buddhist center. The festival’s concluding event took place at the synagogue.